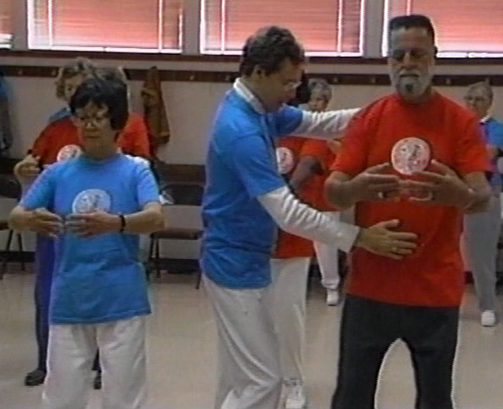 Taoist Tai Chi & Qigong Master Mark Johnson has instructed Frances Ford Coppola, Tom Cruise, Nicolas Cage, Rob Lowe and thousands of others. 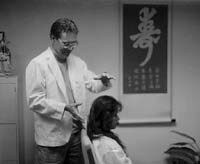 He has officiated over 50 Tai Chi tournaments, sold over 750,000 DVDs world wide and now he can help you personally! For just $75 a session highly motivated students and those who want to become teachers can now learn from a master. Email mark@chi-kung.com or call 800-497-4244 to get started. For 2,000 years, the Dragon sect of Daoism has utilized a powerful breathing technique called “Self Release” which cleans out and integrates all the high frequency energies available to each of us. Wim Hof, called the “ice man”, has clearly demonstrated how he can strengthen our immune system beyond anything believed possible by Western medicine. Stan Grof (Holotropic Breath Work) has successfully helped thousands of people release their repressed and unrecognized energies which included birth traumas and even past life traumas. Dr. Sue is now rallying her followers to align all our Chakras so that we utilize ALL the energetic frequencies available to us. Because these incredibly passionate and inspiring people helped to pioneer this extraordinary practice - which I suspect the Daoist originated because it seems to include all of the above and more - I am willing to teach the Daoist version and the discoveries I have discovered. I will explain and demonstrate futuristic styles based on the findings of modern science and ancient Taoism which now claim everything is energy at different frequencies and like frequencies resonate with each other. In the old days practitioners of Qigong imitated the movements of animals and sounds to gather power and health. However, today we have access to the incredible power of the Fibonacci Spiral which is found in all aspects of nature from the smallest animals to hurricanes. And a Torus is found around cells and people, and the Earth and galaxies! So if you accurately emulate those movements, the universe has no recourse but to resonate with you and that power is the source of all synchronicities. So learn to participate with such power and you will seldom need another doctor and it even opens you to the possibility of out of body travel!